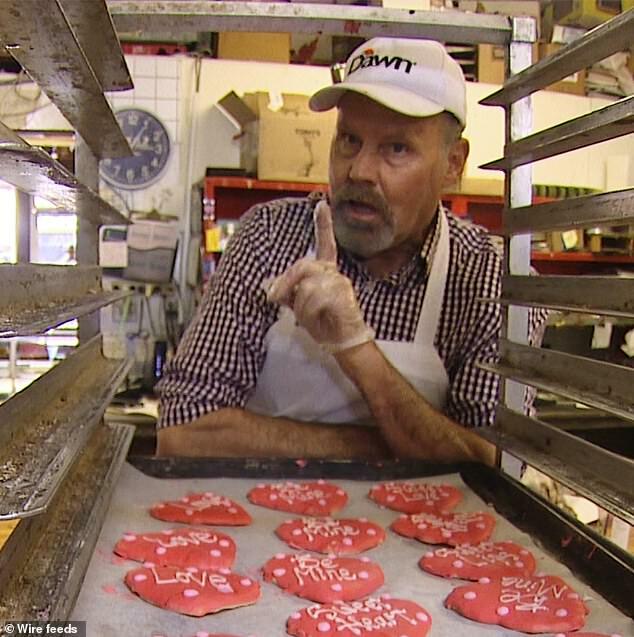 The owner of a Washington State bakery has apologized for creating a controversial Valentine's Day cookie featuring the words 'Build that Wall,' following backlash on social media. 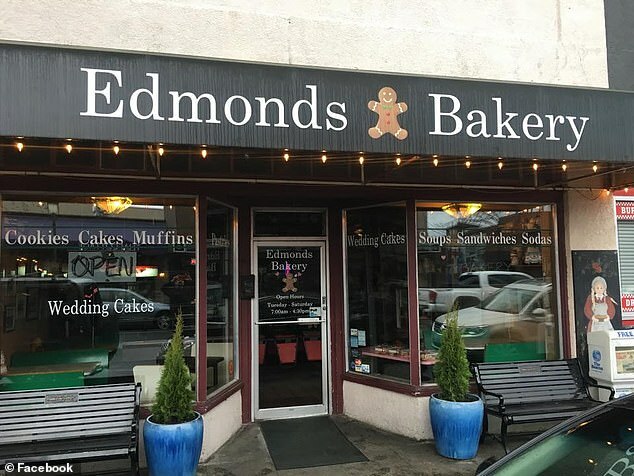 Ken Bellingham, the owner of Edmonds Bakery, says he works hard every year to make sure his cookies are memorable. Similar to SweetHearts candies, each cookie has it's own message, some of which are more 'risqué' than others. 'I'm back there trying to think of what to write on a cookie. I try to be funny,' Bellingham told KING-TV. This year, one of the sweet treats has generated more attention than all the rest. A heart-shaped cookie with 'Build that Wall' in frosting letters, referencing Donald Trump's promise to build a southern-border wall. Bellingham says he only made one of that particular design, created as a joke and not as a political statement. 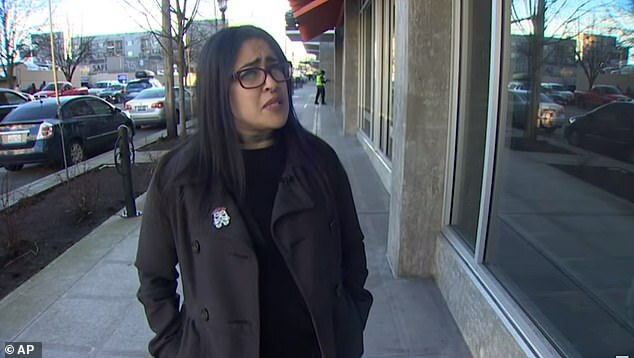 The single cookie grabbed the attention of Ana Carrera, who visited the store on Thursday, and subsequently posted a photo of the cookie on Facebook, saying that as a person with Mexican heritage it felt personal. Carrera's parents crossed the border from Mexico in the 80s, fearing drug cartels. 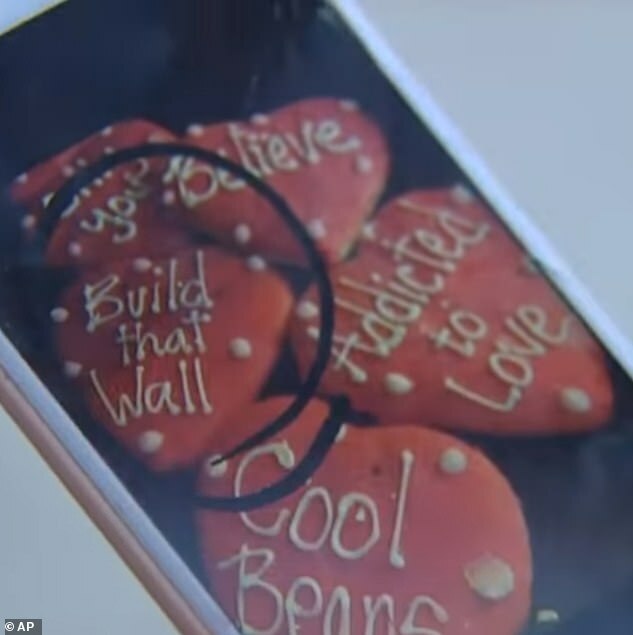 Bellingham has apologized for the design and says building a wall isn't anything he endorses and he doesn't intend on making more cookies with that slogan. He's also received phone calls from frustrated customers. Carrera said she doesn’t want Bellingham harassed, but she will not be returning to the bakery as a customer. The cookie has reportedly sold.